​​When improperly disposed, the tires may become a major problem for the environment and to public health, once they may be water accumulators and therefore the ideal place for the development of dengue’s disease vector. 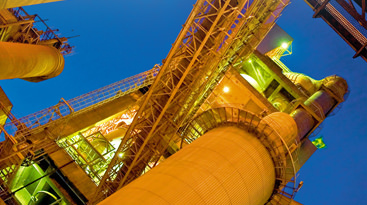 Main Goals: reduction of CO2 emissions in cement’s production proces. Generated Benefits: elimination of 26 million tires. ​​Our Rio Branco’s cement plant in the south of Brazil, one of America's largest, found a way to turn this problem into something useful and productive, starting to use the tires in its cement kilns. Over the years, the unit developed many dosage and control systems for gradually implementing and increasing the consumption of whole and shredded tires. The technique allowed giving a better future to this material into disuse, replacing fossil fuels used in cement manufacture and hence reducing CO₂ emissions. ​​A pioneer in the implementation of this co-processing in Brazil, Rio Branco do Sul’s plant has eliminated approximately 26 million tires in disuse in these 25 years of technique. In 2013, the unit reached a record consumption of whole and shredded tires, avoiding the emission of 7000 tons of CO₂ and eliminating 54,000 tons of tires.